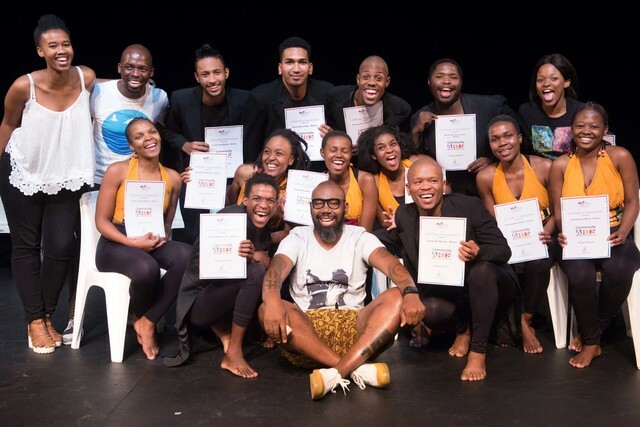 A burst of talented young Durban performers from The Playhouse Company’s 2018 Community Arts Mentorship Programme (CAMP), showed their paces in their graduation presentation which took place in the Loft Theatre on April 13, 2018. “As an institution we are privileged to be afforded such an opportunity through funding from the Department of Arts and Culture’s Incubator Programme which enables us to hone the raw talents of our community-based artists by assisting them to learn from the very best in the country and take what they have learnt to plough back to their communities,” Bukhosini added. Those actors who are accepted into the programme participate in daily workshops that focus on basic training in a range of drama disciplines, some of which include voice production, acting technique, script writing and stage management. This year’s CAMP participants were Nompumelelo Mpembe, Phindile Buthelezi, Ntandoyenkosi Xaba, Sabelo Jili, Keean Pillay, Tyrique Latchmigadu, Siyabonga Myende, Mthobisi Khwela, Ntandonyenkosi Madlala, Amanda Gumede, Ntombiyedwa Mkhize and Ayanda Khanyile. The group’s individual and collective skills have been honed over the past two months under the capable directorship of seasoned performing arts practitioner, Matjamela Motloung, assisted by Okuhle Danti. Mentorship was also provided by Leagan Peffer and Sandile Mkize (Movement and Dance) and Phumelela Majola (Script Writing), who are part of The Playhouse’s residency programmes (Playhouse Dance Residency and Actor’s Studio). The exciting line-up of entertainment showcased on Friday included performed extracts of works by Billy Langa, Koleka Putuma, Athol Fugard, Prof Zakes Mda and Dr Gcina Mhlophe.